Lock in a great price for Trapela Boutique Hotel – rated 9.4 by recent guests! The staff was great. The location is just great. Nice breakfast. Modern room in an old castle. Very nice! The room was clean and cosy. The owners of the hotel were wonderful. Fenia and Panos went out of their way to help us while we stayed in the Trapela Hotel. They made our stay at Areopoli a memorable one. We have had a wonderful time in this beautiful place. The girl at reception was very helpful. The breakfast was terrific. I will be returning next year. Everything was excellent. The staff was very friendly, the room was super clean and the hotel is situated in the centre of the town, which is a bonus! I would totally recommend it, if you're considering a trip to Areopoli, you will have a great stay. Delightful hotel and staff. So many great updates and amenities. Loved the breakfast room and food that was served each morning. Great based for exploring the southern Mani and the town is great fun to explore. Property very awesome and stuff young helpfull, very kind and educated. The breakfast was Soooo good, everything home made from the marmalades, the pitas, bread. Even some fruits were from their garden! My favorite thing about Trapela was the staff; Olga in particular. You will feel well taken care of the moment you meet her. We had the triple room with a balcony over the garden. There was great care taken in designing this hotel and all the little things (hooks in the bathroom!!) are done right. Areopoli is great base for the Mani but you will need more than the 2 nights we stayed. Excellent staff;Eirini took good care of us from the beginning and made our days with her smile and her kindness. She really made our stay memorable. Our room was nice and clean with fast WI-FI. The breakfast exceeded our expectations. 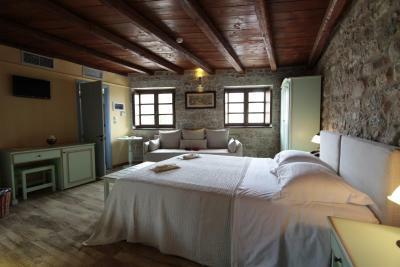 The room was beautiful, new and clean with very tasteful and original bathroom, new TV and lovely bed and bedclothes. The breakfast was well worth the extra. 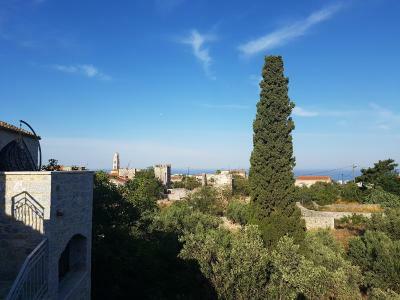 The town is very pretty with an attractive historical centre where you can find restaurants that are very good value for money and interesting-looking musical bars. From start to finish,everyone and everything connected to this hotel,are excellent.Will definitely be back. Trapela Boutique Hotel This rating is a reflection of how the property compares to the industry standard when it comes to price, facilities and services available. It's based on a self-evaluation by the property. Use this rating to help choose your stay! 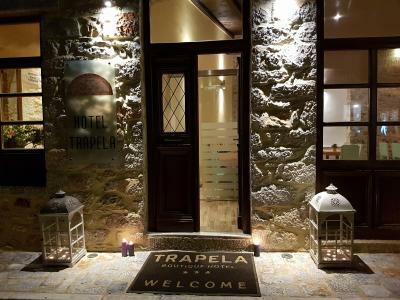 Built of local stone and wood, Trapela is located in Aeropolis of Mani and features a lounge area with fireplace and free Wi-Fi access. 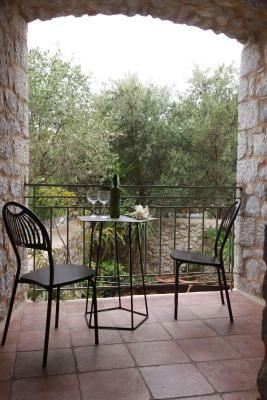 It offers elegantly decorated rooms with a balcony overlooking the lush garden, the mountain or the sea. 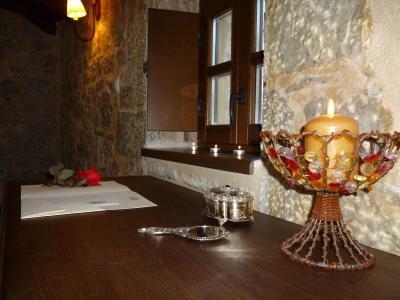 The rooms and suites of Trapela are fitted with stone walls, wooden floors and traditional furnishings. Each air-conditioned unit comes with Cocomat mattresses and is equipped with a mini-bar, a flat-screen TV and an electric kettle. The modern bathroom is stocked with slippers, free toiletries and a hairdryer. 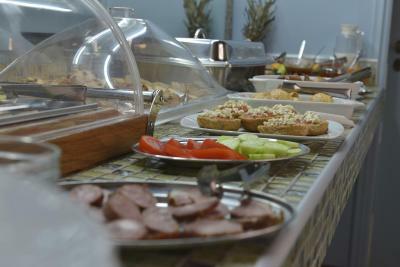 A breakfast enriched with traditional, local flavors is served daily at the dining area. Staff at the front desk can also arrange takeaway meals from nearby restaurants. When would you like to stay at Trapela Boutique Hotel? -slippers, free toiletries and a hairdryer. This triple room features a balcony, air conditioning and executive lounge access. House Rules Trapela Boutique Hotel takes special requests – add in the next step! Trapela Boutique Hotel accepts these cards and reserves the right to temporarily hold an amount prior to arrival. The room is a bit small and the bath not that easy to get in and out. Very clean and convenient to restaurants. A little difficult to find at first because of the town's signage restrictions. With light and airy decor, the hotel was imaginatively adapted from a family building in the old part of this historic town. They installed quality equipment. Good restaurants were just around the corner. Excellent breakfast. Breakfast wasn't available unless ordered the day before but this wasn't mentioned when we checked in so couldn't have breakfast on first morning. It wasn't a problem as we went out to a nearby cafe instead. 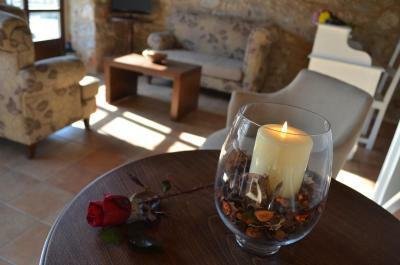 Large comfortable room with modern facilities in a beautifully renovated building. 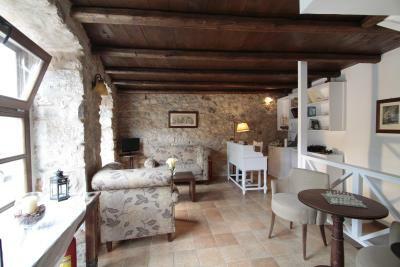 Location is in the centre of the old town within easy walking distance of lots of restaurants and bars. noisy fridge and conditioner but it is not a problem. The personal is very polite, clean rooms, nice view from the 3rd flor. We asked to make breakfast earlier (at 7 instead of 8:30) it wasn't a problem. P.S. very delicious ice cream in front of hotel. All you need you can find in room. One small thing, we had tea making facilities but didn’t have any water, milk or coffee in the room. Not a big thing but might have been nice to have some water in the room. A great location, very clean and comfortable. We received a very warm welcome.